Our colourful ring binders will steal the show in your archive. 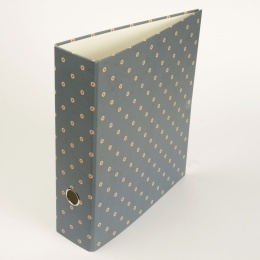 Made with covers from SUZETTE patterned papers, they feature a wide spine (8 cm), grip hole and 2 ring, lever arch mechanism (standard perforation). 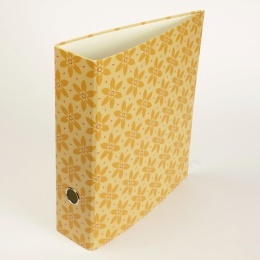 They manage to contain everything from important documents or bank statements to photos, recipes or a collection of those memorable paintings from your children… All our ring binders are handmade and come in a standard A4 format. 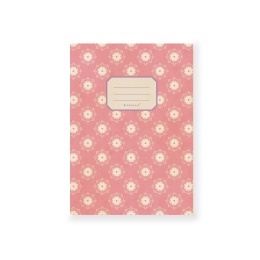 They are available in a choice of five different covers made from SUZETTE patterned papers. A matching, adhesive spine label is included. Exercise books featuring soft-covers made from fine cardboard. 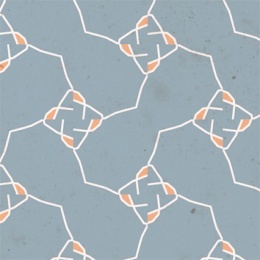 Wrapping or coloured paper from the SUZETTE series.